The demo video of Ubuntu Phone OS showed us about a beautiful dynamic lock screen which displays various usage statistics with a unique background. 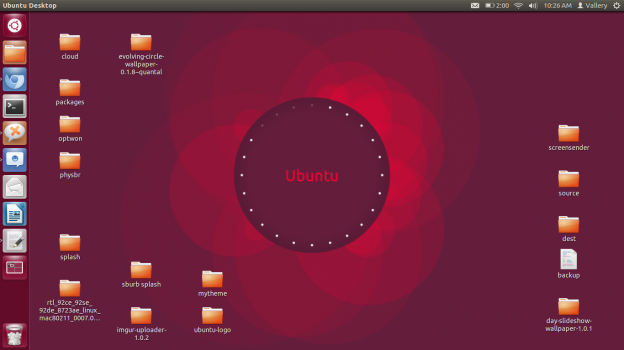 Evolving Circle Wallpaper is a dynamic wallpaper inspired by Ubuntu Phone OS lock screen. It uses random color for outer circle and its gradient. The white dots inside the circle acts as a 12-hour clock, turning white up to noon, then fading out up to midnight. Evolving Circle Wallpaper changes its appearance depending on the time of day. 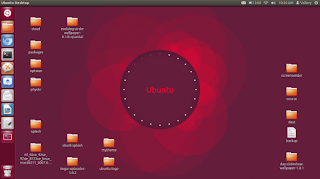 Evolving Circle Wallpaper is supposed to work on Ubuntu 12.04 Precise Pangolin and Ubuntu 12.10 Quantal Quetzal with Unity as desktop environment. Please note that Evolving Circle Wallpaper is in early development stage, many changes will be implemented without notice and you might encounter some bugs (especially if you use different desktop enviroment like XFCE). 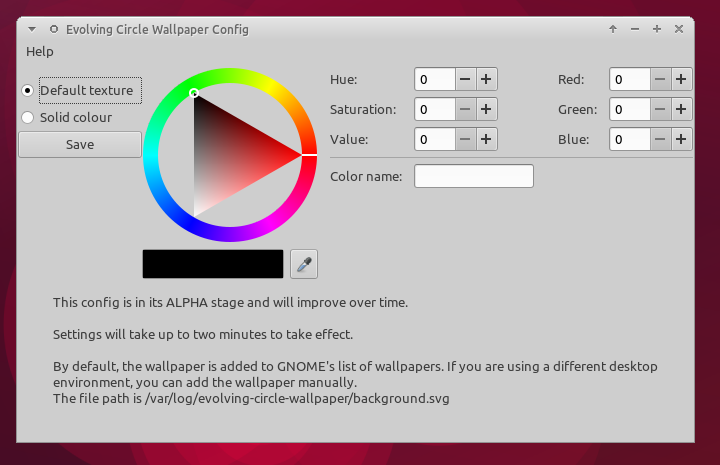 Once installed, the wallpaper is added to GNOME's list of wallpapers. If you are using different desktop environment, you can add the wallpaper manually. The wallpaper is located in "/var/log/evolving-circle/background.svg". Evolving Circle Wallpaper comes with a simple GUI to change some behaviours of the wallpaper. Simply run "sudo evolving-circle-wallpaper-config" to invoke it.